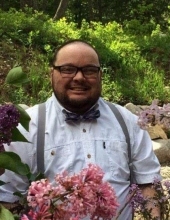 Jess Bryant Hooton, 33, of Bozeman passed away unexpectedly January 29, 2019. Jess was born May 14, 1985 in Salt Lake City, UT to Kirk and Lisa (Pratt) Hooton. Jess was raised in Salt Lake City, UT and graduated from West Jordan High School. The family moved to Bozeman in 2007 and it was in Montana where Jess discovered his love for the outdoors and his true self. In his youth Jess played softball, enjoyed fishing, rafting the Madison, he loved being in the outdoors, especially with his friends and family. He also enjoyed game night and Sunday Fun Day with his friends. Jess loved spending time with his family, especially his grandparents and niece and nephew. He was in the process of collaborating with some close friends on writing books to help children understand transgender. He was preceded in death by his sister Nicole in 2017. Survivors include his parents Kirk and Lisa Hooton; niece and nephew Aiden and Addelyn McCormick; maternal grandparents Bryant and Martha Pratt of Salt Lake City, UT; paternal grandparents Joan and Leo Hooton also of Salt Lake City; as well as several in-laws, aunts, uncles, cousins and close friends. An informal gathering to celebrate Jess’ life will be held Friday, February 15, 2019 from 4:30 PM to 6:30 PM at Dahl Funeral and Cremation Service Tribute Center. To send flowers or a remembrance gift to the family of Jess Bryant Hooton, please visit our Tribute Store. "Email Address" would like to share the life celebration of Jess Bryant Hooton. Click on the "link" to go to share a favorite memory or leave a condolence message for the family.